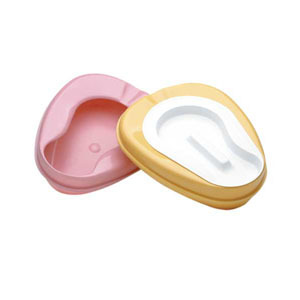 The conventional bedpan is durable and has a greater capacity to better avoid spills. Back and side overhang aids in transporting of contents. 350 lb weight capacity(100 lbs more than government standard). Bedpan holds the weight of the patient's buttocks and mid-trunk of their body. The head, arms, legs and chest are supported by the bedding.